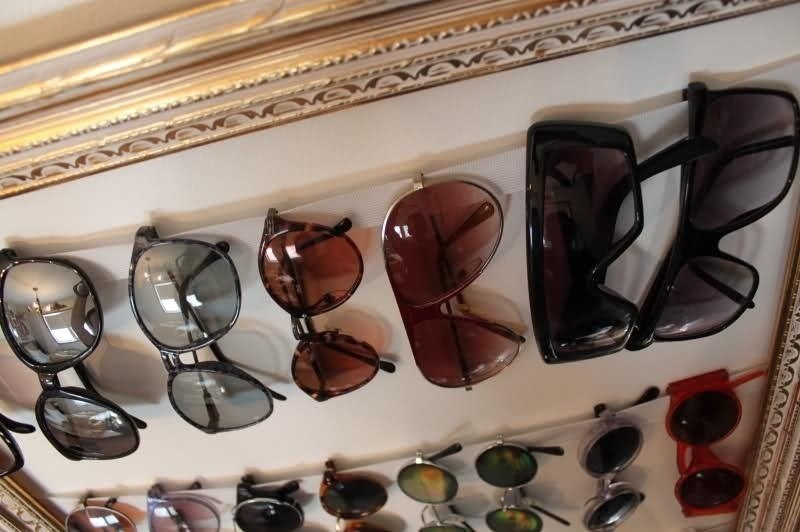 Your closet is an area that holds important things such as keys, glasses, clothes and shoes. However, for some reason, it's always messy. Why is this? I know my closet is messy because I don't have a lot of time to sit down and organize every little thing in there. I have never really even given much thought into organizing it. 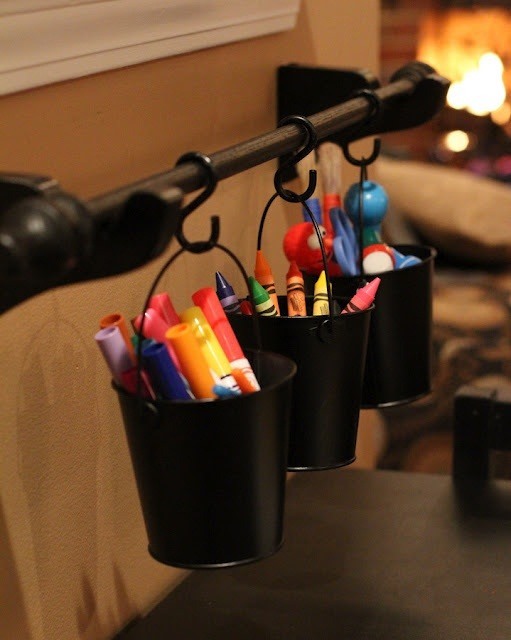 If you're tired of the clutter just like me, there's tons of brilliant DIY ideas out there on the Internet from people who have successfully organized this area in their homes. They've done it creatively out of materials one would normally not use. Just the way I like it. 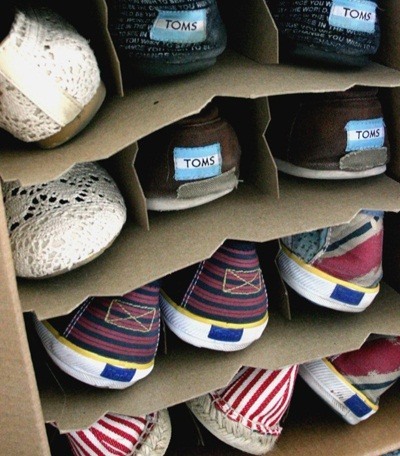 Here are ten ideas for getting your closet organized. 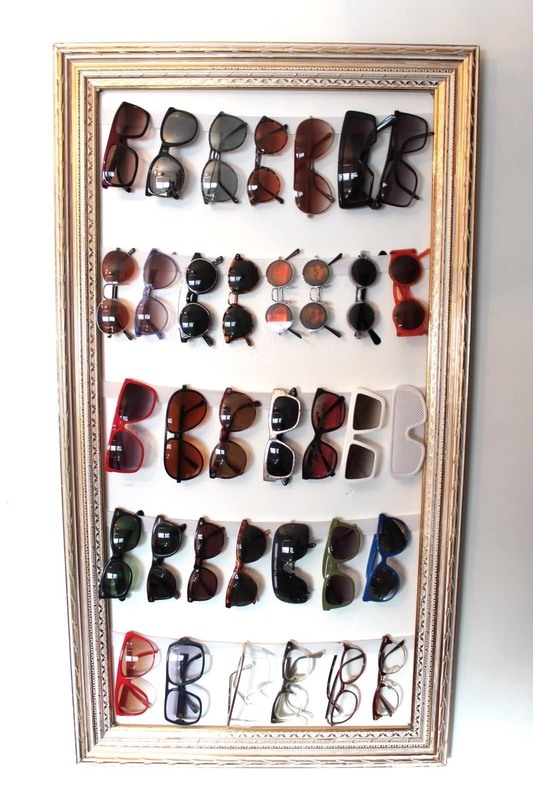 This brilliant DIY sunglasses holder from Pull Teeth is made from an old picture frame and some elastic bands. What is particularly cool about this is that you can't really see what the glasses are hanging from. 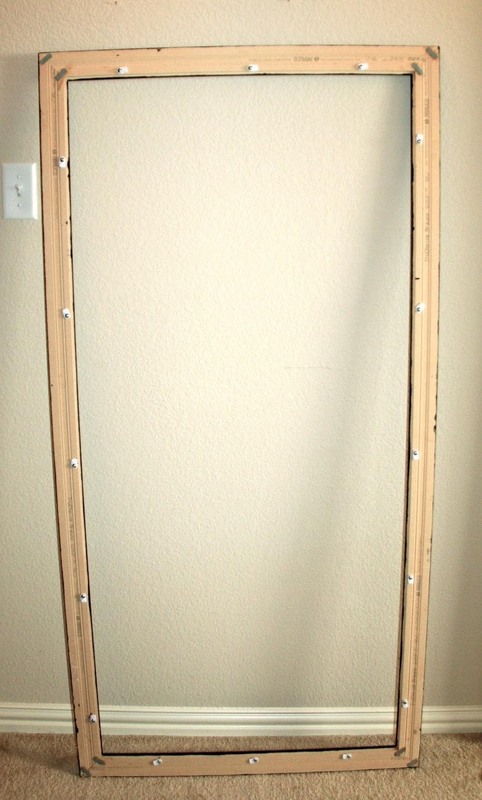 It's even super thin, so it will be easy to hang on the back wall or door of your closet. Plus, you could use any cool frame you have sitting around, so it's super cheap and customizable. Check out this unique shoe rack made out of an old wine box from Real Simple, with Kitty's version right next to it (from A Law Student's Journey). Not only can you customize this any way you want, but because it's made from a wine box you get to have a good time while getting your craft on. 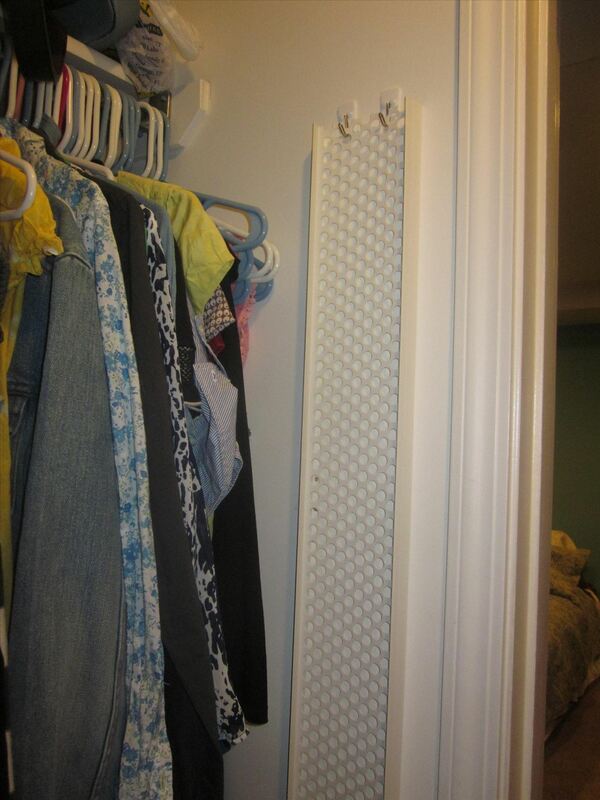 It will fit easily in the corner of your closet. 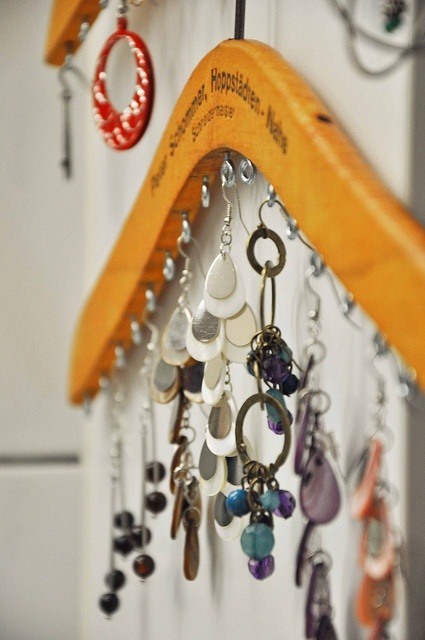 Ladies, do you want a quick and cool way to hang your jewelry that's not only functional, but looks good, too? 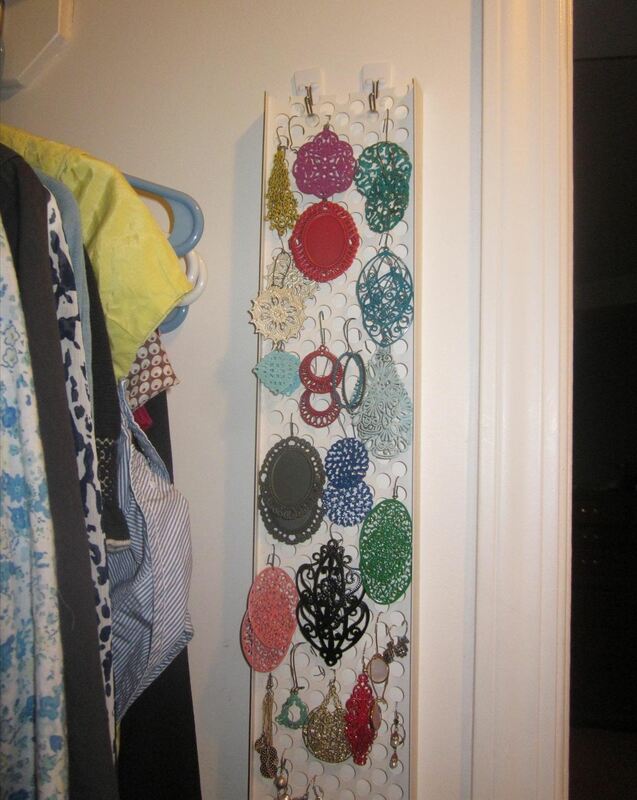 Check out the jewelry holder picture above from Household 6 Diva, which is made from an old hanger and some small screw-in hooks. My wife is constantly wrapping presents, so naturally she has a ton of disorganized gift wrap materials. Lucky for her, I Heart Organizing has come up with an awesome way to make a present wrapping station that fits neatly over any closet door. This is great for those with limited space! And you don't necessarily have to use this for gift wrap paper. It could be for anything you feel like shoving in your closet. 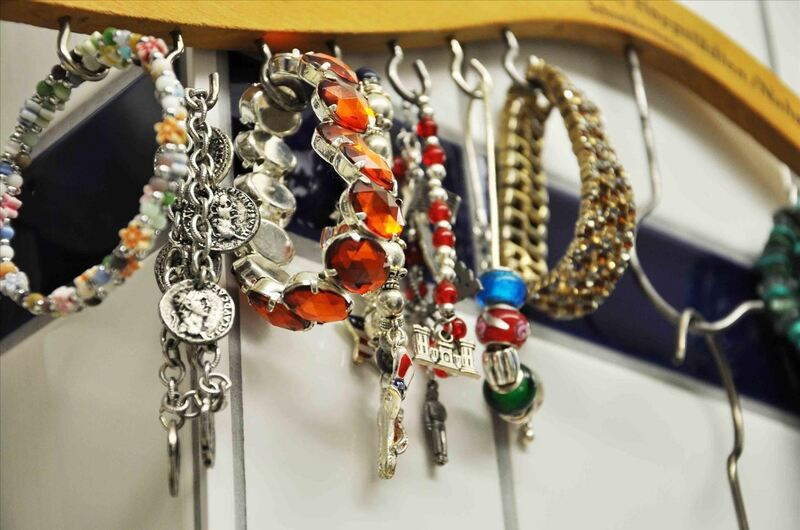 Here's another jewelry holder for all of the ladies out there. If you're sick of never having a place to store all your jewelry, the folks over at Maillardville Manor have you covered! They made this awesomely clever jewelry holder out of a few cutlery trays. 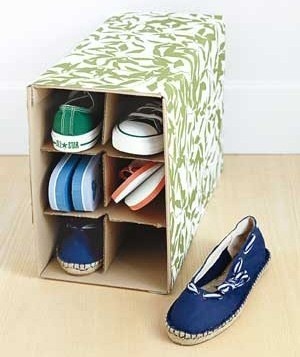 This is cheap, and a very good solution for cramped apartments. And again... this could work for more than jewelry. 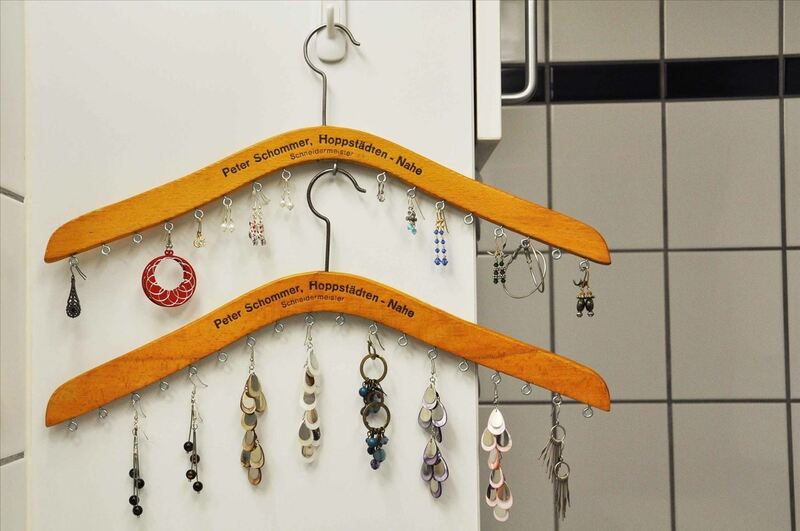 So, you have seen two awesome jewelry hangers that will surely help out with necklaces, bracelets and the like. What if the majority of your collection is earrings though? Luckily, the crafty folks over at Blue Cricket Design have you covered with this unique earring hanger made from a rain gutter guard. 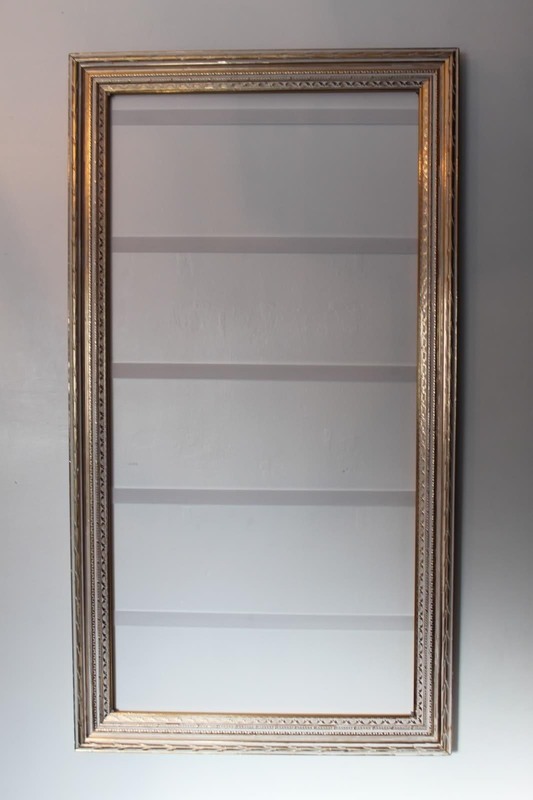 The best part is that it will fit easily on the wall in your closet. 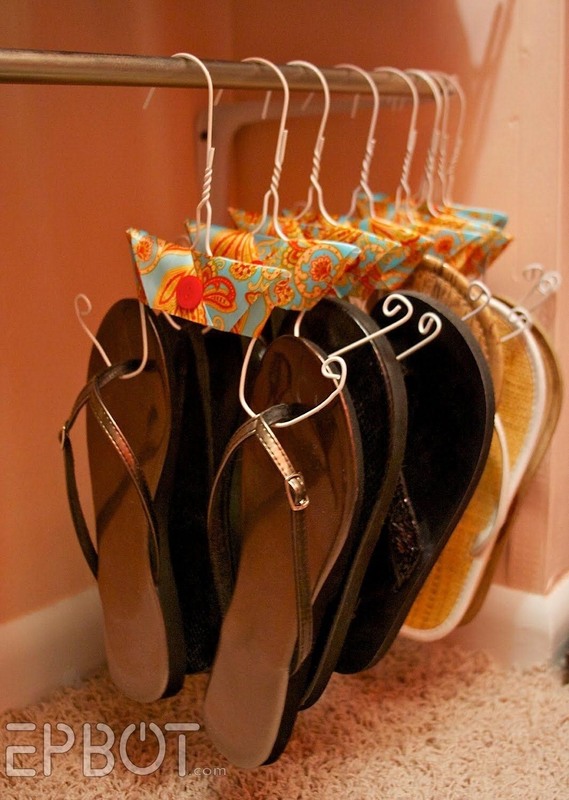 If you're anything like me, you'll appreciate this flip-flop holder made out of old coat hangers from Epbot. Where I live, it's extremely hot. So much so that I own many pairs of flip-flops. Normal shoes are just far too hot. What stinks is that they've always just migrated about the house because I never had a dedicated spot for them. Now I do. 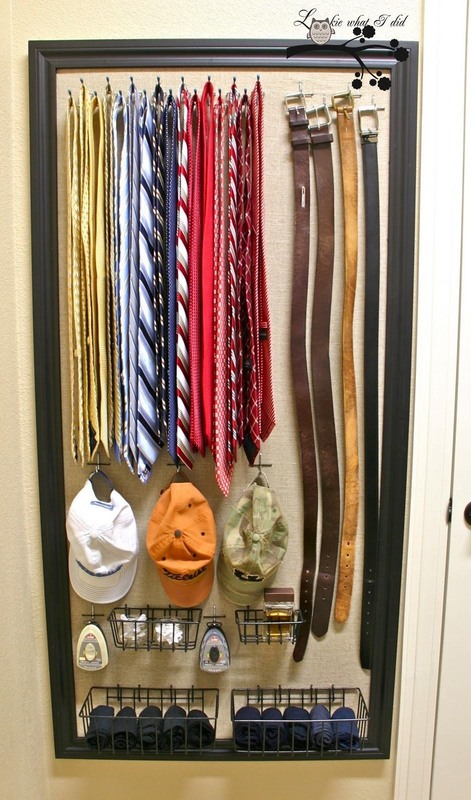 Professional men have a lot of items they need to organize in their closet: belts, ties, cufflinks, dress shoes, hats, socks, etc. If you don't have something to control the chaos, your closet will get out of hand in no time. Luckily, Lookie What I Did has come up with a solution. 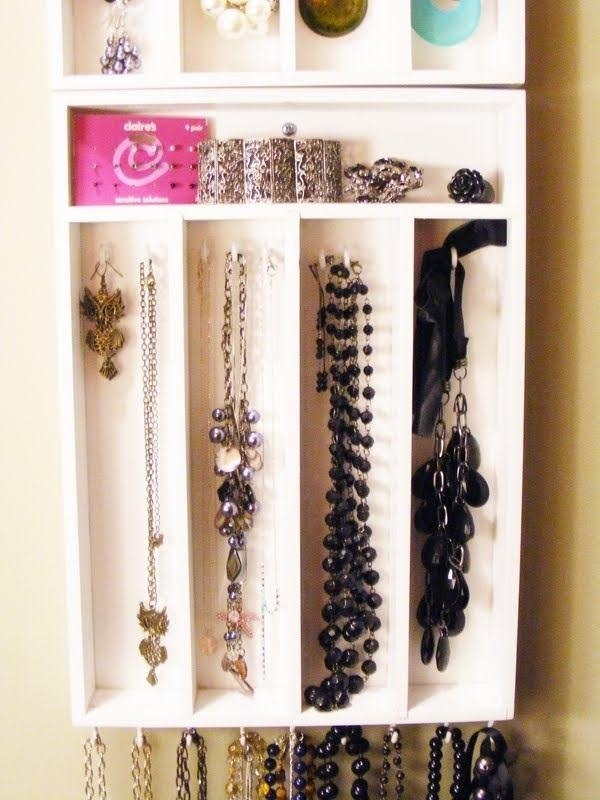 Check out this tutorial to see how to make the awesome closet organizer pictured above out of pegboard. One thing that stinks about ties is that there normally is no good place to hang them. Sure, you can loop them over a closet bar, but trust me... they slide off very easily. 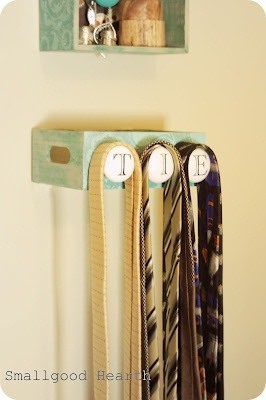 Smallgood Hearth has come up with the easy and cheap tie holder shown above. It will fit in even the tiniest of closets! 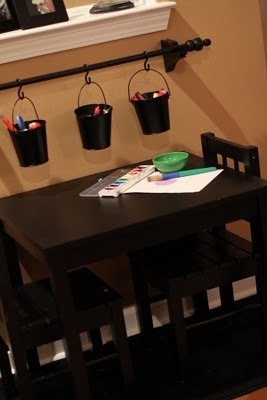 This awesome little storage rack from Scissors & Spatulas is made from buckets hanging on hooks on an old curtain rack. You most certainly have all of the items for this project around your house somewhere, so it's ideal. 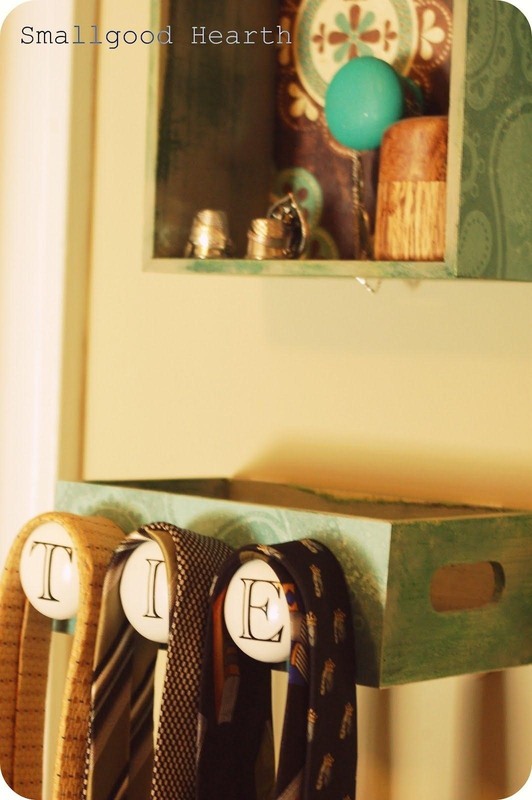 You could hang this by your door for keys or letters, or you could hang it in your closet to store belts, ties, or those little annoying plastic 'stay' thingies that always fall out of your dress shirt collars. 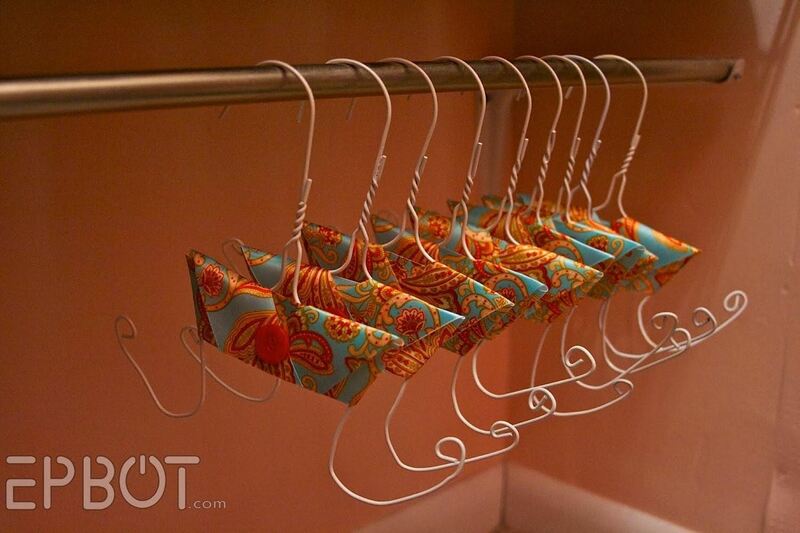 If you're putting it in your closet, you can just hang the buckets from your clothing rod. 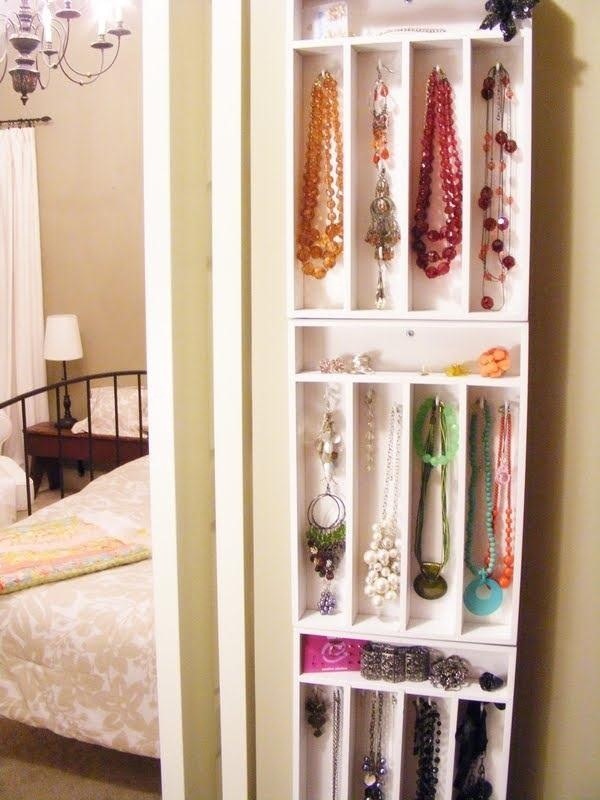 There you go—the top ten-closet organization ideas! Do any of you have any better ideas? Don't be shy! Share it in the comments section below! Or submit a how-to right here in MacGyverisms World! Pinning to my Pinterest - I wish you had an icon for that to make it easier.... But good tie tips. :) thanks!